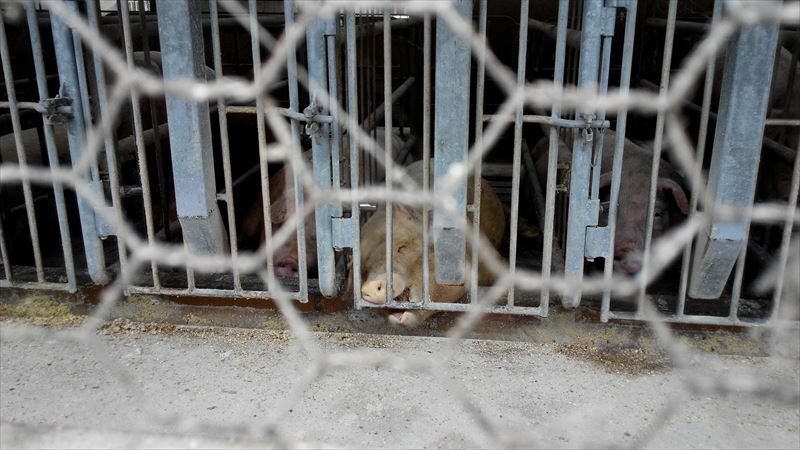 PETITION:Ban Gestation Crates in Japan! This is a picture taken at a pig farm in Japan in 2017. This is called the gestation crate, namely, “crate for mother pig,” which is being used in almost all pig farms throughout Japan. Please help, sign the petition! 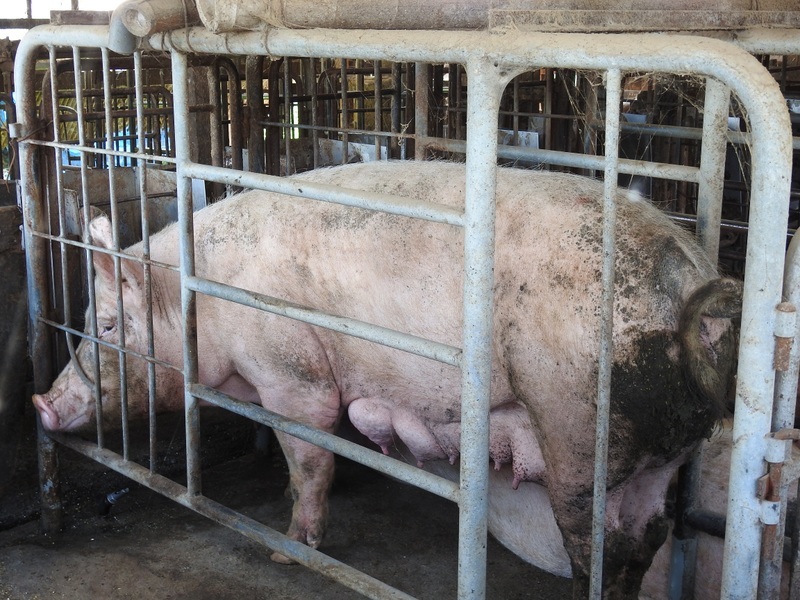 In Japan, mother pigs for breeding are raised one by one in a constrained situation like this. 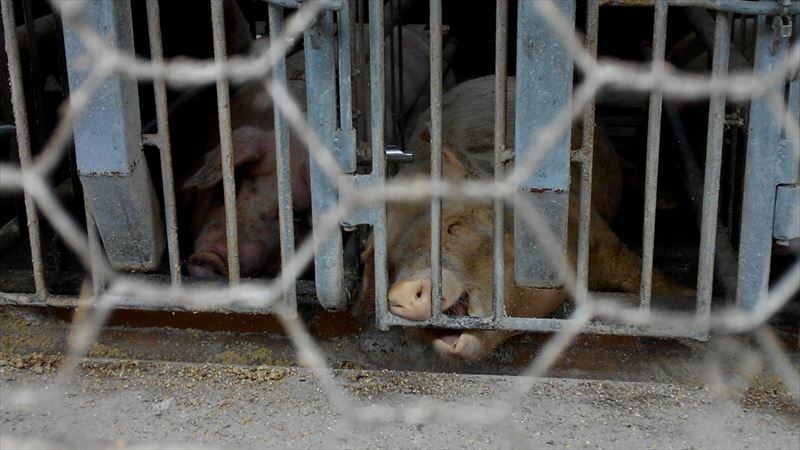 The width of each crate is so small that the mother pig cannot even change her position in the crate. The use of gestation crates has already been banned in many countries, but is still legal in Japan (88.6% of Japanese pig farms use them). Moreover, new gestation crates are being provided using government subsidies. Movement of prohibiting the use of them has never been promoted in Japan’s livestock industry until now. We have no legal framework covering livestock welfare in Japan. The use of battery cage and butchery without fainting treatment for chicken are also legal. Compared to the other countries, Japan significantly lags behind in establishment of animal welfare policies and activities. Gestation crates are a typical example symbolizing the issues of industrial livestock in Japan. Currently, more than 700,000 mother pigs are suffering inside gestation crates. They have no way to raise a sad cry, only to endure the hardship there. We do hope that the cruel raising methods like gestation crates be banned immediately in Japan. Our signature-collecting campaign has been conducted under the above-mentioned circumstances. We would much appreciate your signatures endorsing “banning of use gestation crates worldwide”. We will deliver your signatures to all companies, supermarkets and administrative organizations that are involved in these issues. We would like to ask for your understanding in our signature-collecting activities and provide us with your signatures. What’s happening to pigs at slaughter houses at night?